Q. 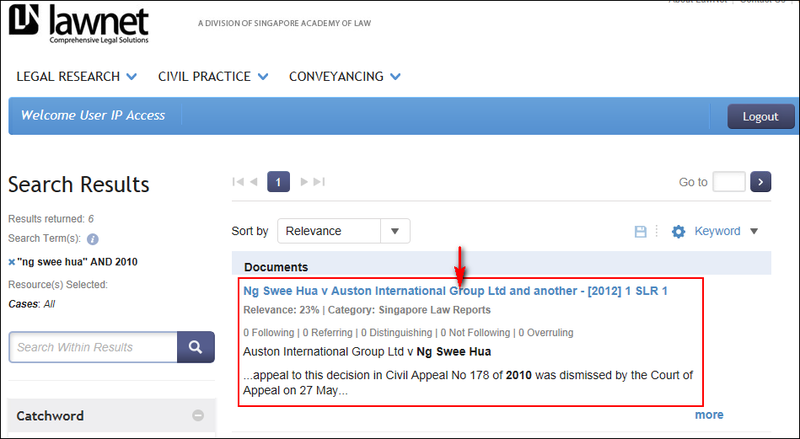 How do I find a Singapore case if I only have partial case name? Use LawNet database to find full case name and reported citation. 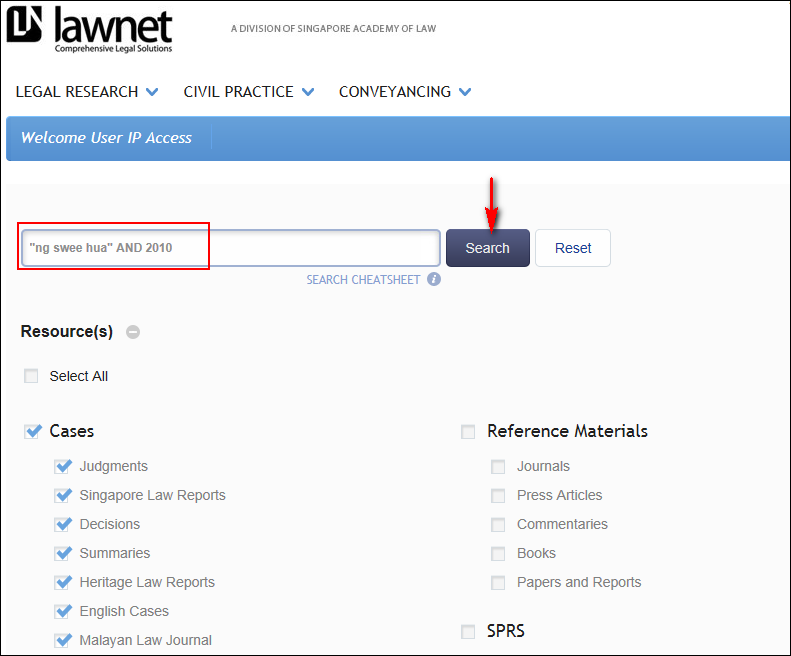 In the LawNet home page, select cases under resources and search by partial case name. Click on the case in the results page. Click on the PDF icon to view source PDF.